An African Safari with Austin Adventures is no passive ordeal — merely glimpsing wildlife from afar — but an authentic immersion into the breathtaking landscape and lifestyle of the “Big Five.” We like to say that Africa wrote the book on adventure travel. And we’re proud to announce we’ve read it. Perhaps you seek it all in Africa — 360-degree views from Table Mountain in Cape Town, superb wines in Stellenbosch, and Big Five sightings on the Sabi Sabi Private Reserve, all with Austin Adventures’ guaranteed fine dining and luxury accommodations. Take a look at our South African adventure. Even if you elect to venture into the African bush, we can still guarantee total comfort in our Bush Rover Suite, a Land Rover that converts into a surprisingly elegant home for the night in the preeminent land of safaris. No matter where you go, each moment of our luxury, all-inclusive safaris is carefully curated to envelop you in the land, the wildlife, and the culture of this incredible continent. Get our 19-page Africa Vacation Guide filled with great planning tips and fun travel ideas. There’s always a great time of year to travel to Africa. It all depends on what you hope to see and experience. Because the continent is so big (almost 12 million square miles), you can encounter many different climates. One day you could be in the middle of the scorching Sahara Desert, and the next day, you could be standing on top of snow-covered Mount Kilimanjaro. As soon as you know which area of Africa you want to visit, we recommend familiarizing yourself with its seasons which are easy to remember because there are only two – dry and wet. There are two dry seasons and two wet seasons in this part of the continent. The dry seasons occur from December through February (this is a great time for seeing wildlife) and from June through October. The wet seasons are characterized by warmer temperatures and usually occur from March through May and then again in November. Travel is much easier during the dry season when roads are more accessible and the sun’s presence is more conducive to lounging on the beach. 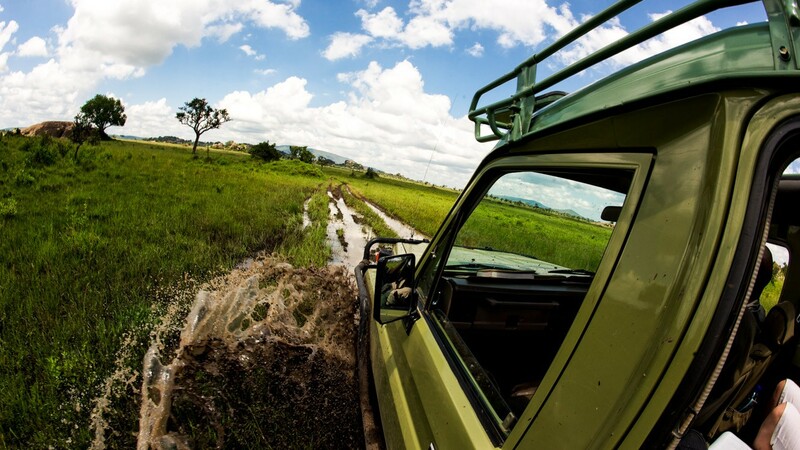 The most memorable months weather-wise are May and June when it’s really dry and it becomes prime time “safari season.” November to April can be called the wet season because rain is prevalent and often, it will close down camps and safari expeditions. Rural roads may be harder to navigate during these months, but the bird-watching will be better and hotel rooms will be easier (and cheaper) to find. Just keep in mind that wet season (especially in November) is the hottest time of the year in South Africa. Temperatures typically peak in December when they’re in the mid-80°s. The dry season in Central Africa typically runs from June to September. This region in Africa is famous for its rainforests, and it receives a lot of rainfall during the wet season which usually begins around April. The dry season in West Africa typically runs from October to May. West Africa’s lowlands are known for experiencing lots of sun and relatively high temperatures year round. The average temperature during the day is around 85°F, but it can get much hotter than that during the end of the dry season. The wet season typically runs from May through July with a second wet season occurring in the months of September and October. Wet season is not the best time to visit West Africa’s beaches; however, it’s a good time to visit the inland countries like Mali and Niger. The best time to travel to North Africa is from October to March when you don’t have to worry too much about high temperatures that would make traveling uncomfortable. This is the hottest part of the continent and temperatures can be extreme – including at night when it gets cold and you’ll need that warm layer we recommend bringing. Areas along the coast experience weather similar to what you’ll find in Mediterranean countries. For the most part, rain is not something you have to worry about in this region! If you’re about to check a trip to Africa off your bucket list, you’re in for a treat. Africa is an incredible continent and there is so much to see and do. How you prepare really depends on where you’re going and what you plan on doing. If you’re booked on any of our Africa adventure vacations, our adventure travel consultants will be in touch with some very helpful pre-departure materials. Even if you aren’t traveling with us, below are a few things you’ll want to make sure you have before you board your flight! Triple check the visa and vaccination requirements for the country(ies) you plan on visiting. It’s no fun to be stuck somewhere and have to cancel your plans because you don’t have the proper paperwork. Without including the islands, Africa has 47 countries (it’s the second largest and most populated continent) and different countries have different outlets so you may need more than one plug adapter. Outlet types C,E,F, and G are the most common. Almost 99% of Africa is on 220-240V (the U.S. is 110-120V), so you may need a voltage converter too. Look at the product manuals for the electronics you plan on bringing, and when in doubt, double check! It’s awfully hard to visit Africa without taking a ton of photos. Unless your memory card has a ton of storage, you’ll want to bring something for backup. The best way to get the inside scoop and behind-the-scene access is to travel on one of our trips which are led by the most experienced and knowledgeable guides. Another good way to gather insider information is to speak with locals – provided you know the language and there are many languages spoken in Africa, so you may find yourself out of luck. Still, here are a few helpful tips that we’re happy to share to get you started! A lot of people think that the best time to travel to a destination is during its dry season. This is true in some places, but in Africa, sometimes the wet season can be more fun – especially if you’re hoping to catch the best festivals and local celebrations. Africans love their rain – it means crops which mean food and money – and they’re known for worshipping the wet season by hosting colorful festivals that aren’t found anywhere else in the world. Airfare to Africa is never cheap, but it tends to be less costly the farther in advance that you book. Generally speaking, we recommend booking your airfare about 170 days prior to when you want to depart. Because your time in Africa is limited, it’s best to spend all of it being present and ready to capture those picture-perfect moments that your friends and family at home will be asking to see. Practice taking photos and adjusting your camera’s settings prior to your trip. That way, when you’re on your safari, you won’t be the one fiddling with their camera while the lion cubs put on a playful performance.